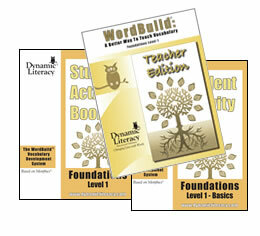 WordBuild® Foundations is the first in a series of vocabulary products designed for students from third grade through college and adult literacy programs. 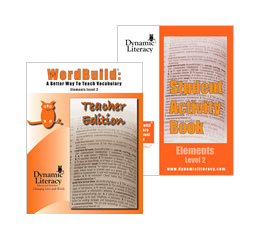 It is the next logical step after phonics, and lays the foundation for the bridge from phonics to comprehension. Mastery of phonics helps students 'sound out' unfamiliar words. 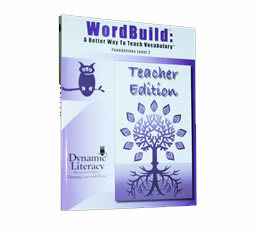 The study of morphics helps students 'mean out' unfamiliar words. 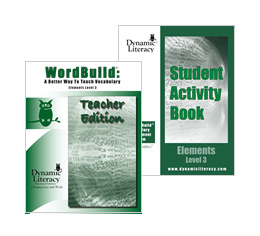 Exercises and activities teach students to see that words are composed of morphemes, or individual units of meaning. 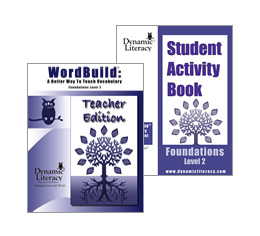 Foundations focuses on the prefixes and suffixes and builds on students' prior knowledge by attaching them to words they already know. Remember... 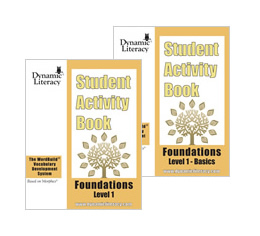 Always start with Foundations Level 1 or Elements level 1 regardless of age.